Order: Fagales Family: Fagaceae The North American Beech Tree is one native to the eastern coast of the United States. This deciduous tree has flowers of both sexes on the same tree. 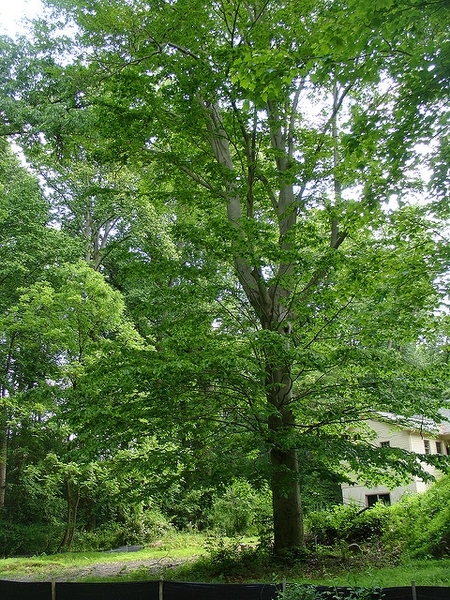 The tree is susceptible to Beech Bark Disease, which is caused by insects that create wounds in the bark which in turn allows Fungi to infect the tree. The bark of the tree is strong and durable making this tree useful for furniture and woodenware. American beech whole plant 1 Mix (Whole tree) None ESTS derived from tissues from healthy, mature tree #1504 at USFS, Delaware, OH. A mixture of tissues representing the whole plant was combined. American beech whole plant 2 Mix (Whole tree) None ESTS derived from tissues from mature tree #1506 at USFS, Delaware, OH. Tree had Beech Park Disease. A mixture of tissues representing the whole plant was combined. There are 28 SSR markers associated with 28 features in this organism.